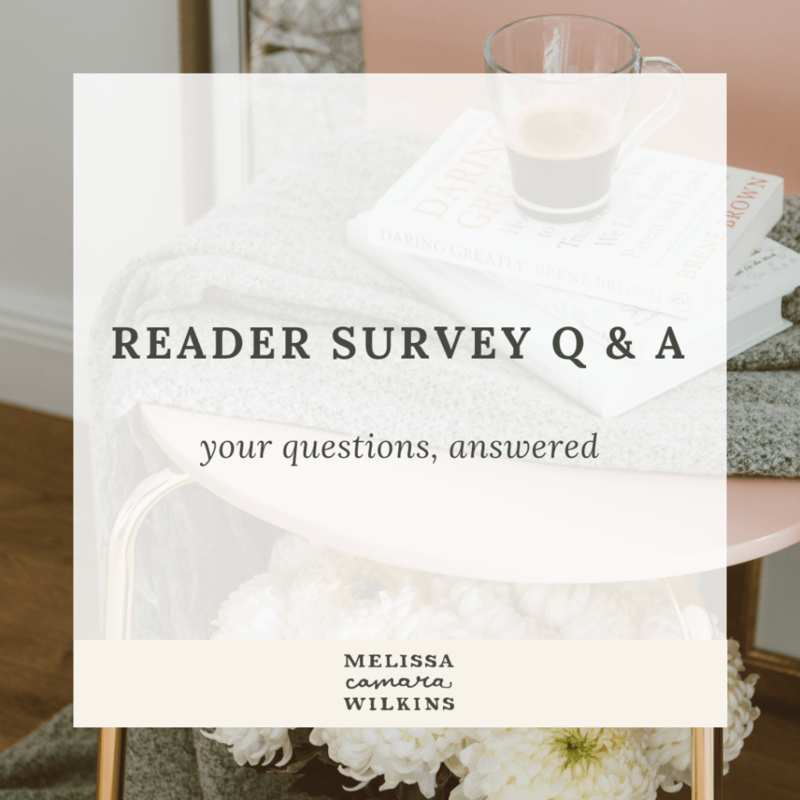 Also known as: Your Reader Survey Questions, Answered! The results of our annual Reader Survey are in, and confirmed what we already knew: that you all would be awesome to meet up with over a cup of tea (or okay, coffee). So many of you said you didn’t really feel super brave in your everyday lives, but you know what? You asked yourselves hard questions and you answered with truth and vulnerability, and that is always brave. And you asked great questions! I wished I could hit reply and answer them all, but that is not how an anonymous survey works, as it turns out. But I can answer the ones that came up repeatedly for you, right here! All of the time and energy? There’s the blog and email and social media, but then there’s also book writing and editing (my new book will be out in bookstores later this year), and speaking, and all the assorted behind-the-scenes tasks that go along with all of those things. Basically, if I’m not sleeping, grocery shopping, or being with my family, I’m thinking about this space we share and how to help us all be who we were made to be. And even sometimes while I am grocery shopping. And second, some of you who DON’T use social media have told me you’re bummed to miss out on stuff that only shows up on Facebook or Instagram. So I’m doing my best to bring you the posts you might want to see ANYWAY, even if you don’t use those platforms yourself. We’re in Southern California, outside of San Diego. So: yes? Here’s the thing: someone has to take care of you, and if you don’t do it, eventually you are going to crash and burn, and that really doesn’t serve anyone. Avoiding the crash and burn is not selfish. More on that: How do I know if it’s selfish? And: How to make everything work again. Start by letting go of anything that isn’t making life better. Anything that isn’t bringing you joy, anything you don’t feel called to, anything you’re tired of stepping on in the middle of the night when you get up to get a glass of water. Start by letting it go and making space for yourself. Also helpful: The Get Out of Overwhelm Survival Kit. Also also helpful: I wrote a whole book about this. 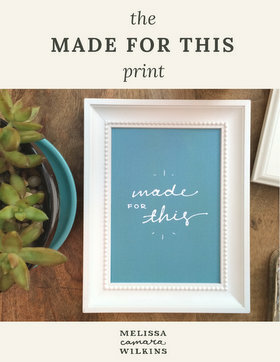 It’s called Do Your Thing: How to make time for all the things you were made to do. The short answer? No. NOPE. The long answer … is still no. Honestly, there was no selfish-evil-genius laughter at all. You told the truth about where you are and what you need right now, and telling the truth is not selfish. Telling the truth is the first step toward living in wholeness. 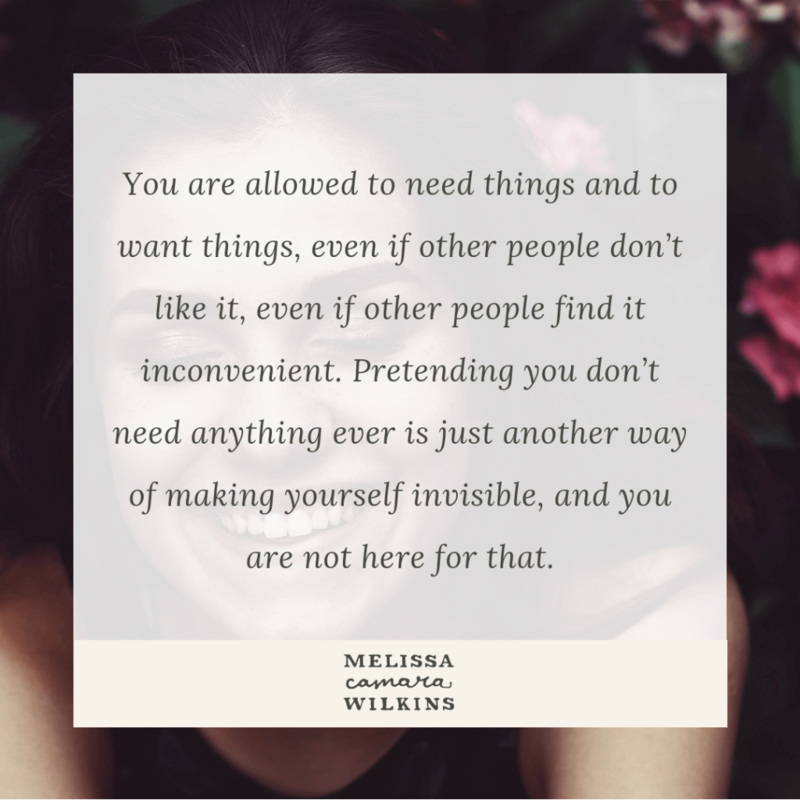 You are a person who is allowed to need things and to want things. Sometimes we act like we can only NEED things when no one else WANTS anything. Right? We think we have to take care of everyone else’s wants before we can even notice that we have needs. But pretending you don’t need anything, pretending you don’t want anything—that’s just another way of making yourself invisible. Ignoring your own needs is just another way of hiding. It’s another way of making sure no one notices you or objects to your way of being. But you are a whole person. You are not here just to meet other people’s needs. You have permission to need things and want things. That is part of being human. You have permission to need things and want things. You even have permission to need things and want things when other people don’t like it. Even if other people find it inconvenient. Even if other people don’t understand. The next time you find yourself wondering if the thing you want is selfish, I want you to ask yourself why you want that thing. Do you want it because it brings you joy? Cool. We need more joy in this world. Do you want it because it does something for you—it gives you something you need? Cool. Someone has to take care of your needs. You can be that person. Do you want it because it helps you avoid feeling your feelings? Do you want it because it distracts you from doing the hard things you know you need to do? Do you want it because you’re afraid there won’t be enough to go around? Okay, so these are the warning signs that something isn’t quite right. In other words, if the thing you want brings you more fully INTO your life: that is not selfish. If the thing you want would take you OUT, numbing you from your life: take another look at that one. We don’t let fear drive the bus. That would not get us where we want to go. But just plain old everyday wants and needs? Listen to those. Pay attention to what they have to tell you. It isn’t selfish. And I’m glad you asked.